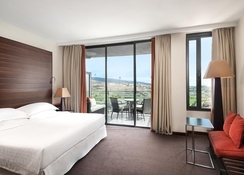 Set beside two first class golf courses in the beautiful Gran Canaria countryside is the Salobre Hotel Resort & Serenity, a haven away from the hustle and bustle of life back home, where you and your family or partner can come and get some well-deserved rest and recuperation – when you are not pacing the fairways that is! It will be a great opportunity for you to explore wide-ranging foods and drinks in the on-site restaurant and bar, which will also give you an insight into just how expansive this 5-star resort is. The hotel has three restaurants, four bars, seven swimming pools and many more facilities. Other than this, you can take advantage of Airport Transfer Service (upon request) and many other facilities like bicycle rental and car rental for exploring the place at your own pace. For ultimate rest and relaxation hit the fully-fledged spa, where expert masseurs, will give you wide-ranging massages and beauty treatments from head to toe. Golf lovers are unsurprisingly drawn to this hotel, as it overlooks a stunning 27-hole golf course. But there are also other attractions in the immediate area suitable for those who are not that keen on golf. The Playa de las Burras Beach is around 13.7km from the resort. The Playa de Melonares Beach is a popular choice for those seeking serenity, it is only 8.8km from the resort. 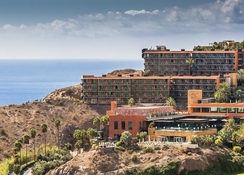 The Gran Canaria Airport is about 38.8km from the resort, which can be reached with an ease by utilizing the free shuttle bus service provided by the hotel. With innumerable rooms, you could be forgiven for thinking it will lack the personal touch of a smaller resort, but as past guests will testify, it has managed to maintain a small resort charm with all the benefits of a larger hotel. 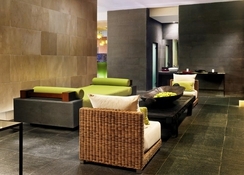 All rooms come with air conditioning and an en suite bathroom, as well as a friendly smile from the cleaning team too. At Salobre Hotel Resort & Serenity, rooms are available in several categories namely Deluxe room, Premier room, Junior suite, Deluxe suite panoramic view, Deluxe suite mountain view, Presidential suite and Deluxe family room. You can expect to be served some lovely food on your stay here, but if you would rather go self-catering then you will find your room facilities as well as the in-resort restaurant more than enough to satisfy your needs. Plus, there are plenty of places nearby to feed and water yourself and your family to the point of bursting. Bed & Breakfast: Breakfast is the only meal included in the price along with your accommodation. Half Board: Two meals - usually breakfast and dinner – are included in the price. Full Board: Breakfast, lunch and dinner buffets are included in the overall holiday price along with your room. Drinks are not included unless stated otherwise. Self-Catering: No meals are included in the price. You will have the option to make your own meals or eat out, allowing you a greater degree of flexibility. There are plenty or sports and entertainment facilities in and around the hotel, which will ultimately excite and energize the guests. 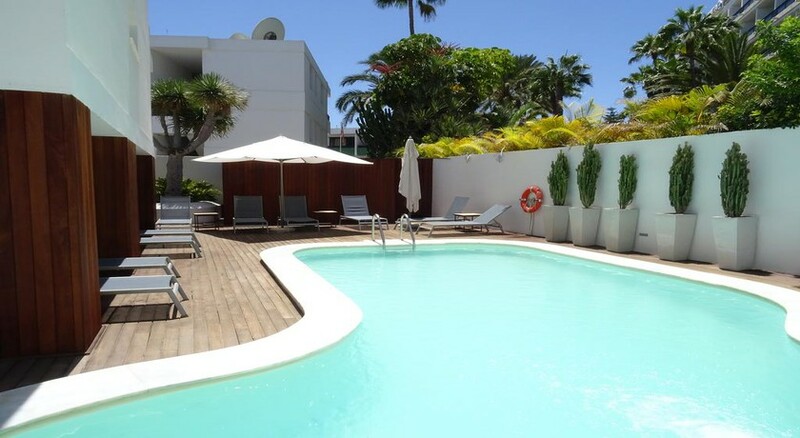 The hotel’s outdoor swimming pool is the best place to bask up the Gran Canaria’s lovely sun, while those who are passionate about golf can take advantage of the onsite golf course. Those who want to maintain their fitness level to the fullest can leverage the state-of-the-art fitness centre with expert trainers. Other than this, you can enjoy live music in the bar as well as the restaurant. Children too can have a lot of fun, as there is a playroom and Panchurro children’s park organizing many games and activities. Furthermore, there is a wellness centre with expert masseurs that will take you to the next level of rejuvenation. Booked this hotel for a rest. Lovely place when I eventually got there. Took 2 hours dropping everyone off in town first! If you do book get a normal taxi.save lots of time. Wellness centre too and you can go for walks. Very clean and good food. I booked half board and it was enough for me. Suggest you check the airline prior to booking too. As I had Ryanair and the stress was high.thank goodness we flew on the Saturday. We arrived at the hotel on a sunny Sunday morning to a sparkling wine reception where the staff were more than welcoming. 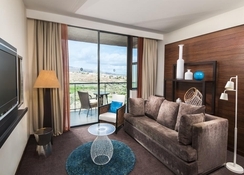 We were quickly shown to our roomwhich had amazing views over the first golf course and also benefited from a private balcony. The facilities at the resort are maintained to a very high standard of cleanliness and presentation, and the food (we were half board - breakfast and dinner included) was always prepared to a high standard. The staff were accommodating throughout our visit and really made our holiday extra special. The only downside to our trip was there were some renovation works ongoing - we visited in July 2017 so these works are presumably completed now. 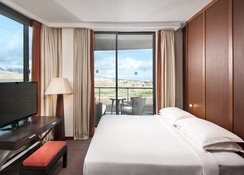 Nevertheless, the hotel and its spacious facilities allowed us to avoid these works and enjoy a peaceful experience. The spa was beautiful and relaxing, and the golf was perfect. We’re planning our next visit!